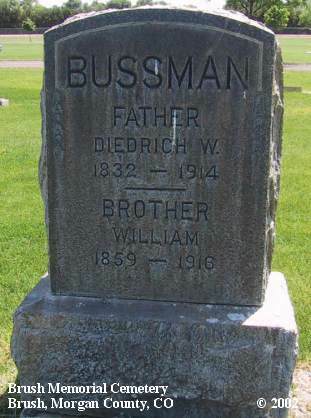 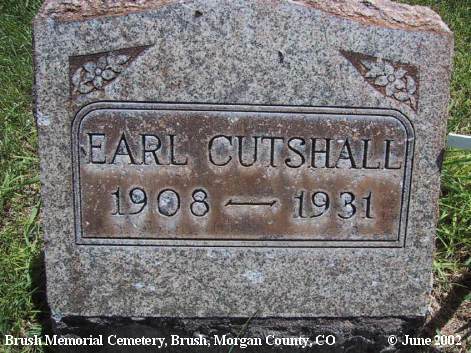 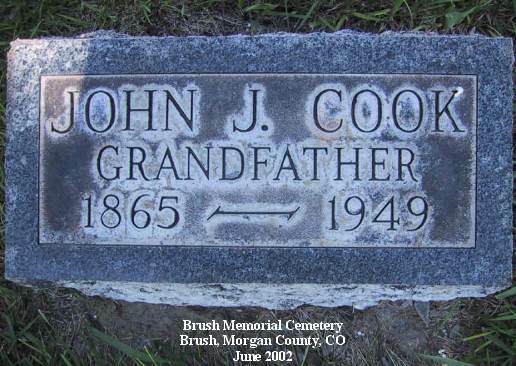 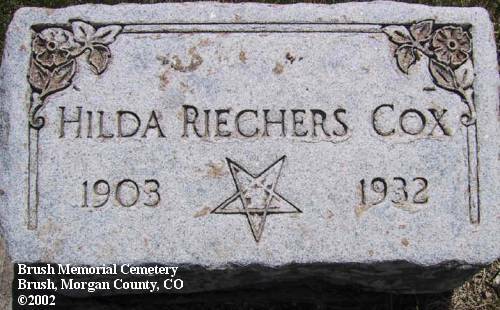 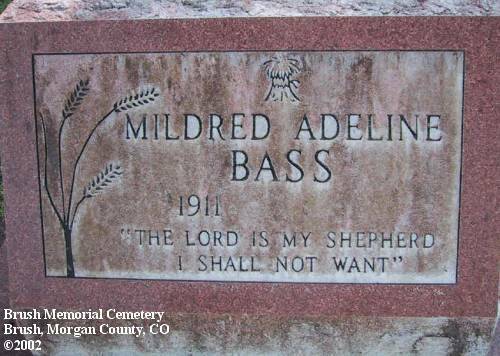 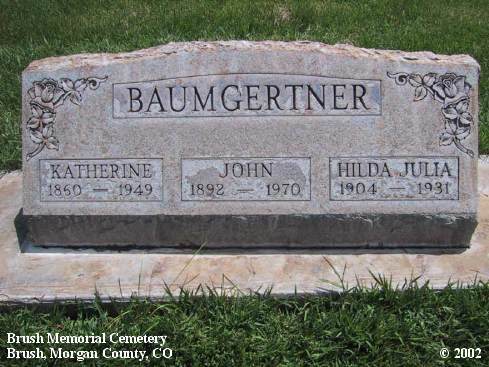 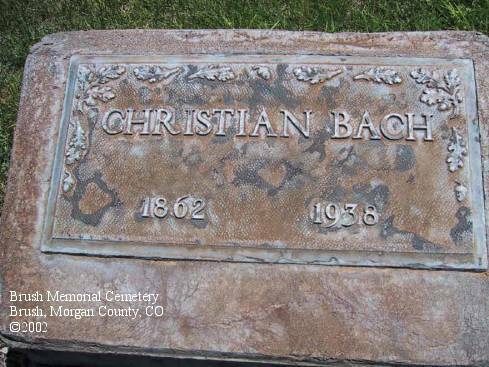 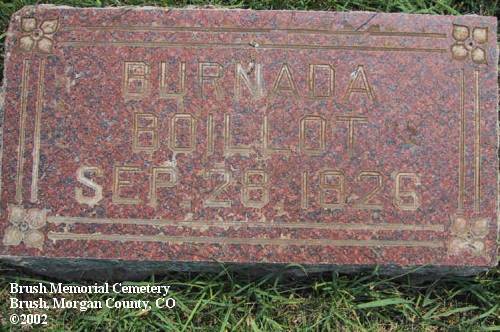 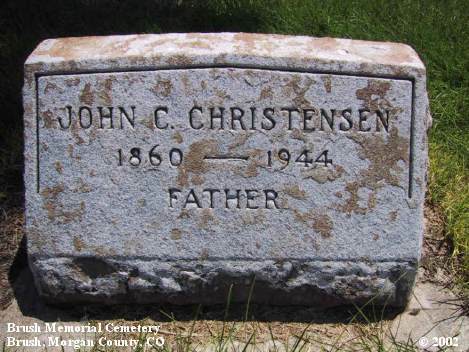 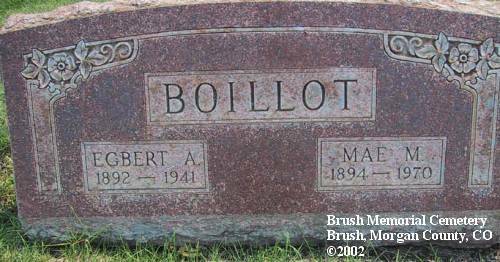 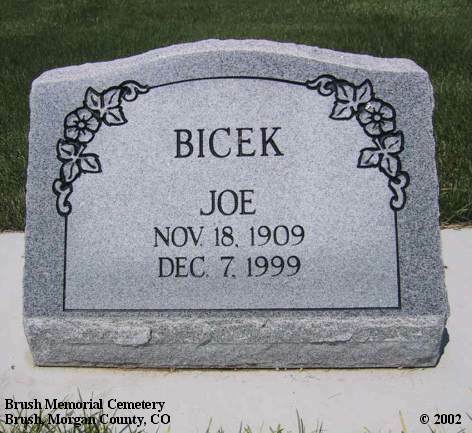 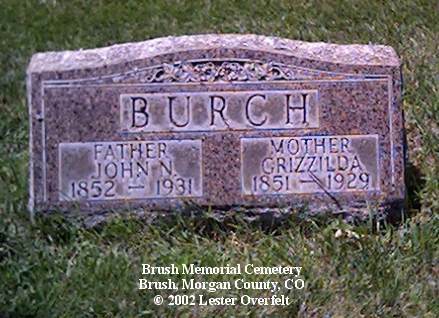 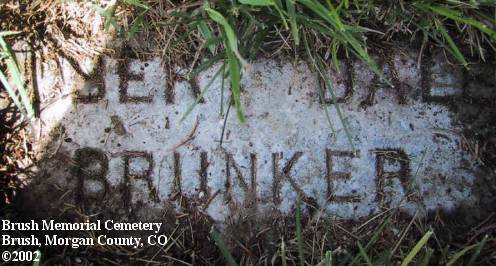 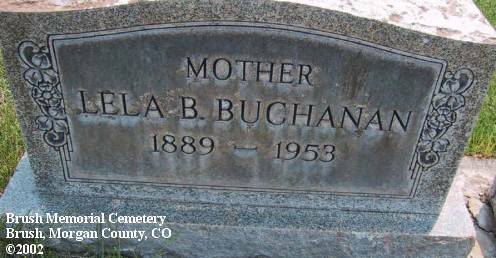 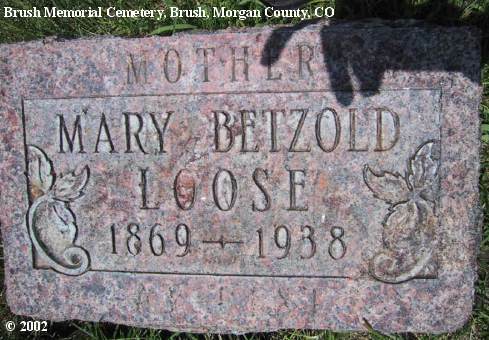 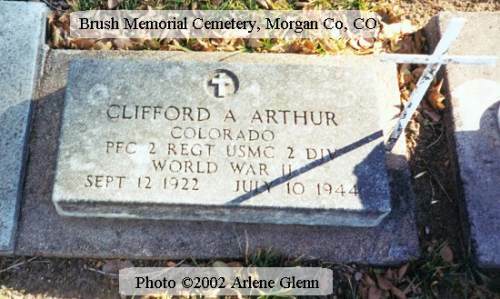 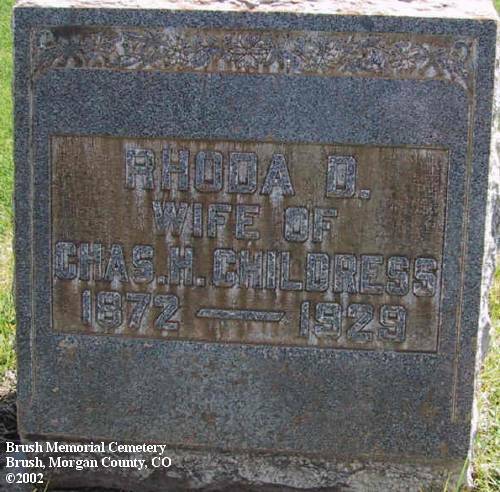 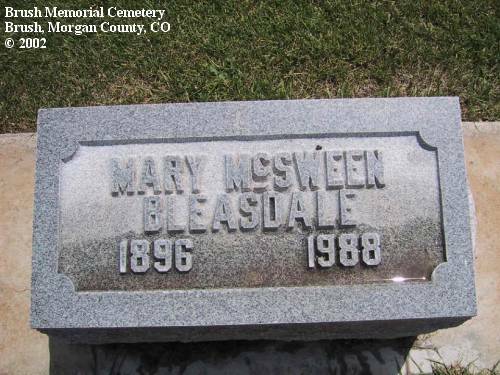 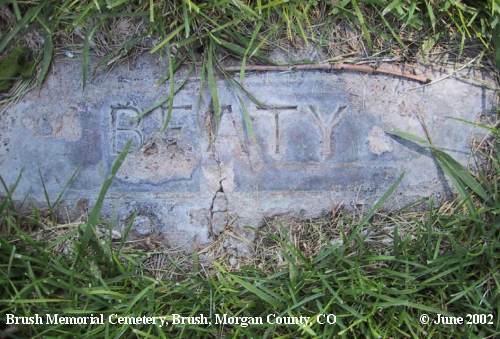 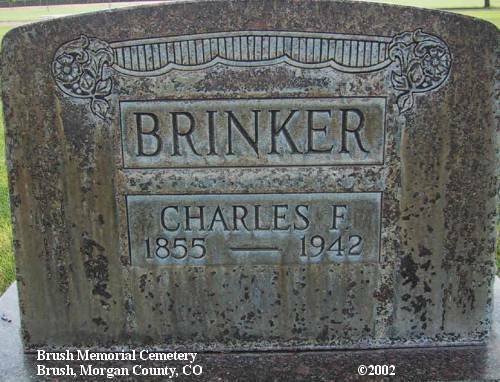 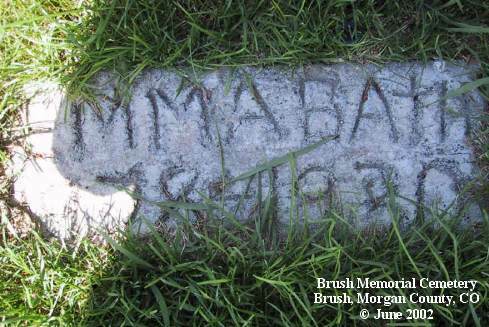 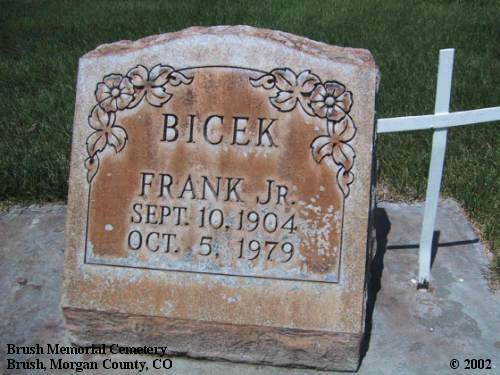 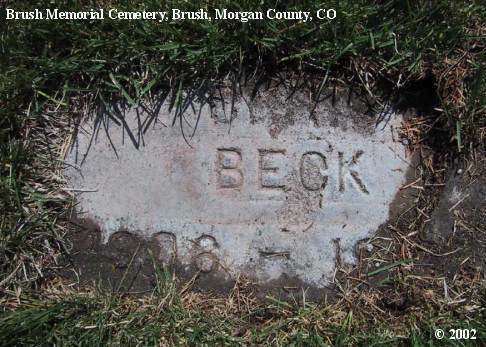 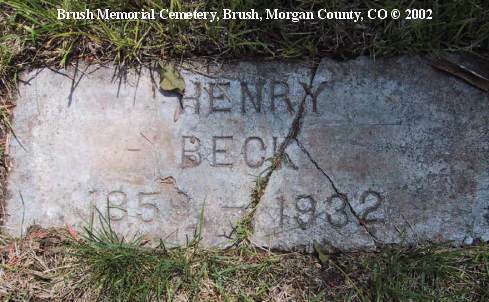 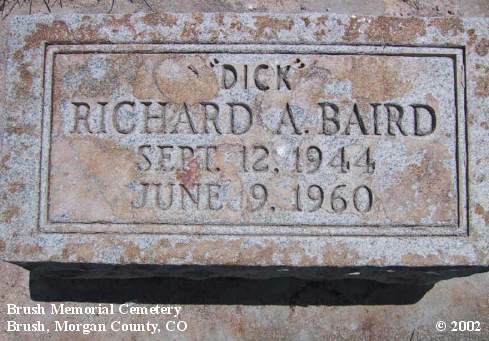 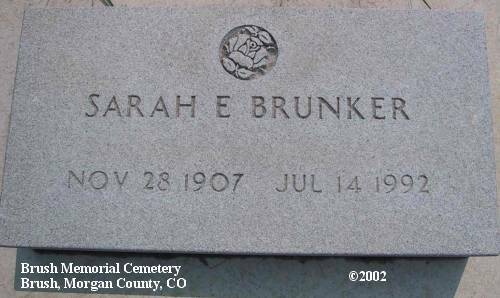 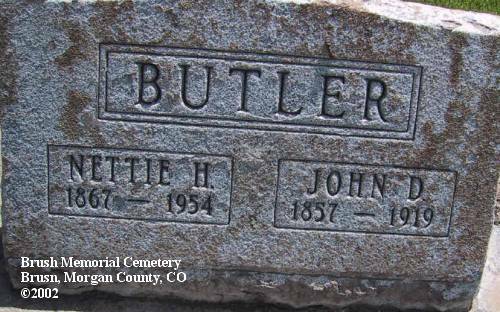 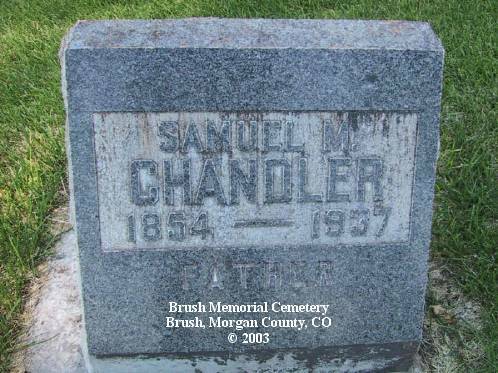 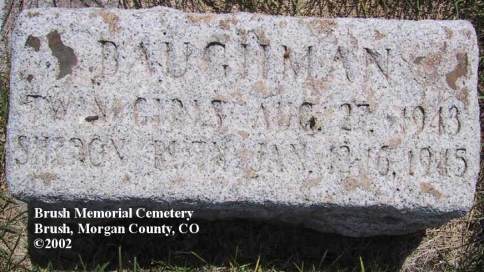 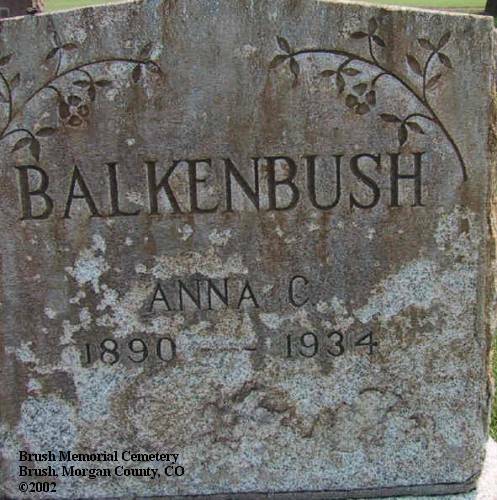 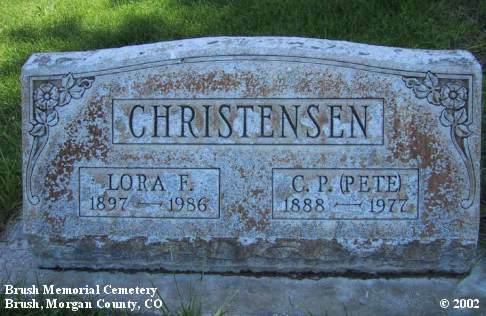 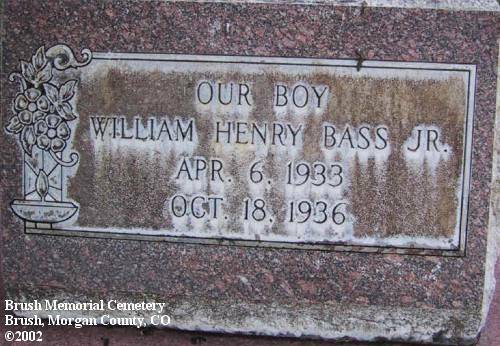 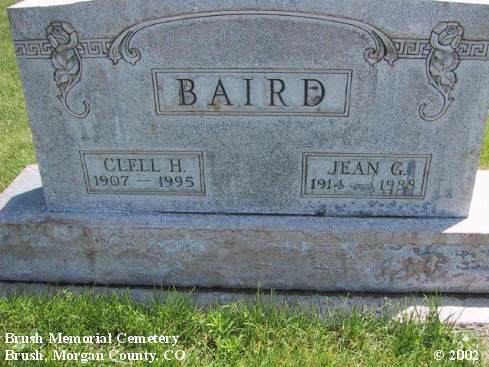 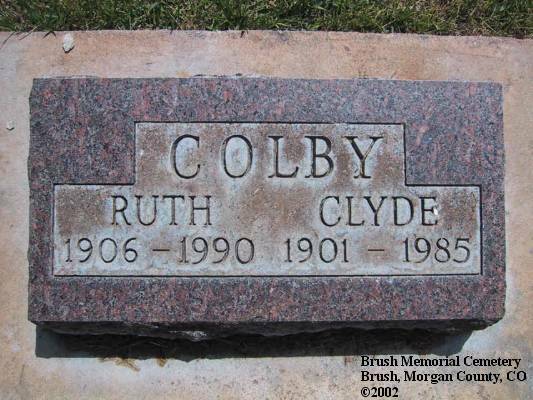 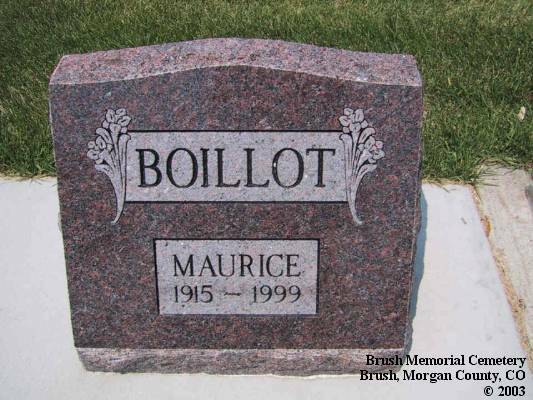 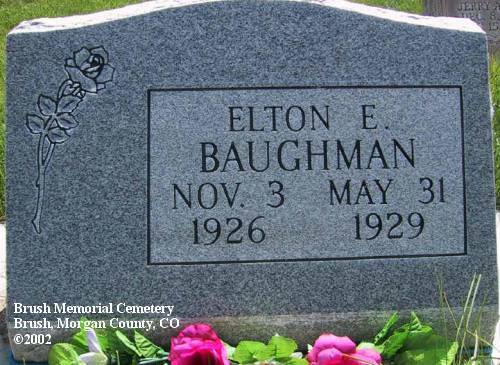 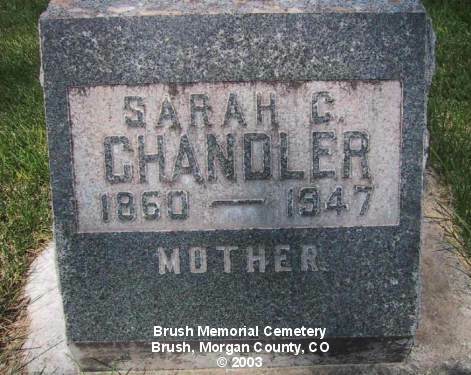 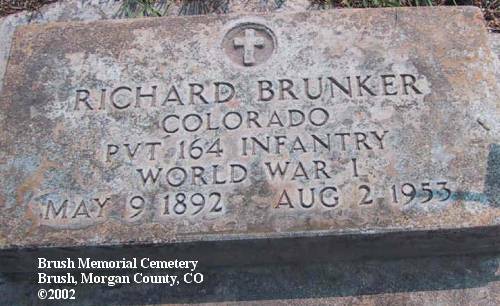 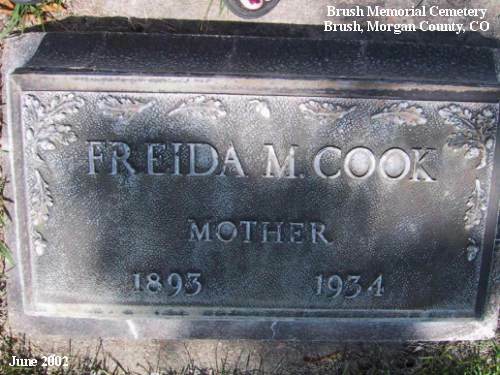 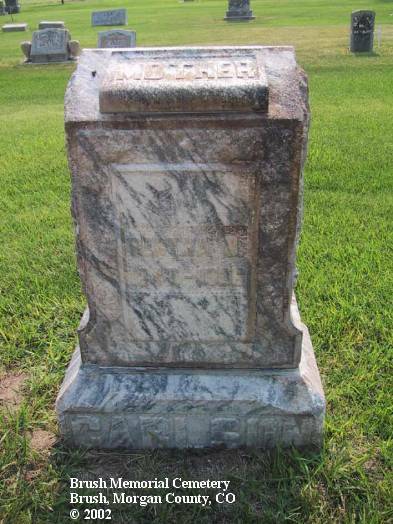 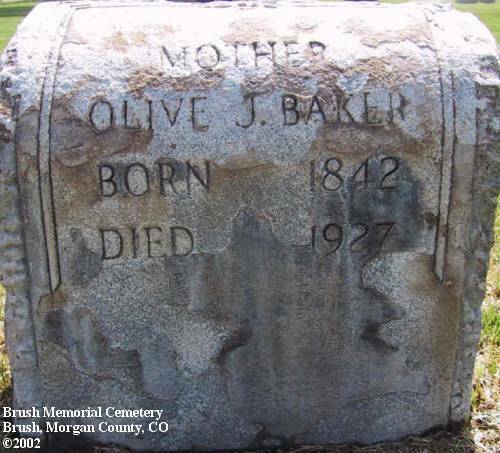 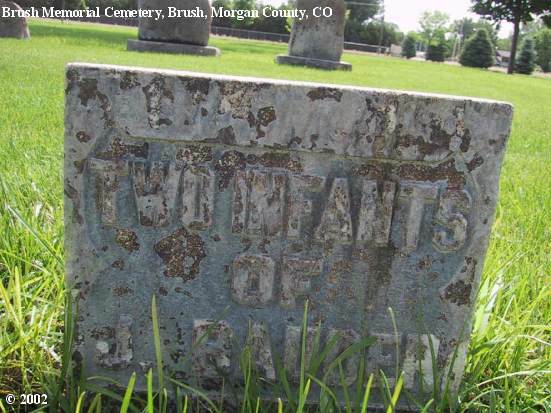 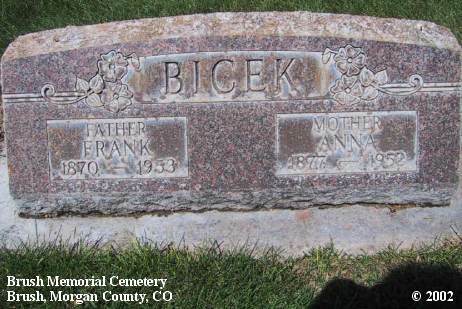 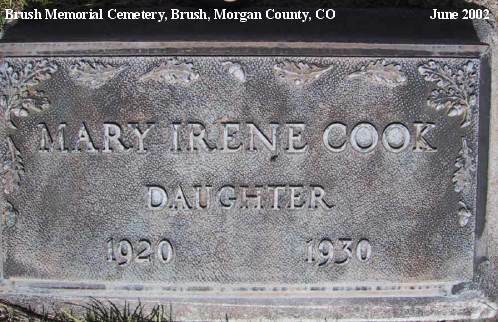 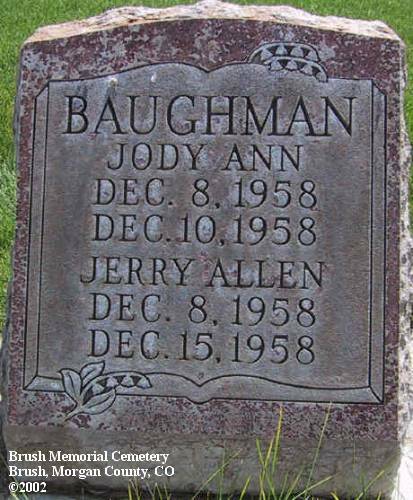 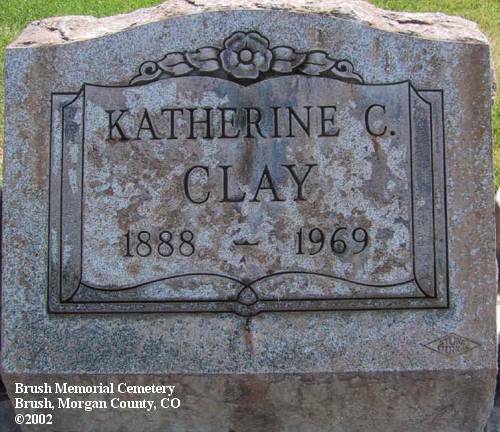 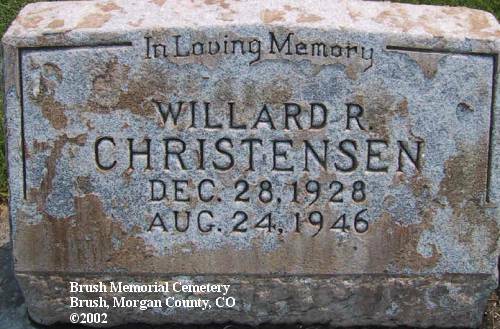 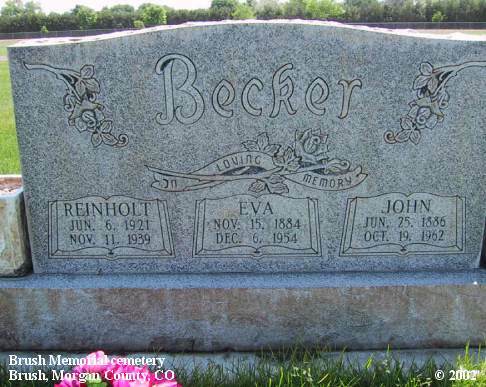 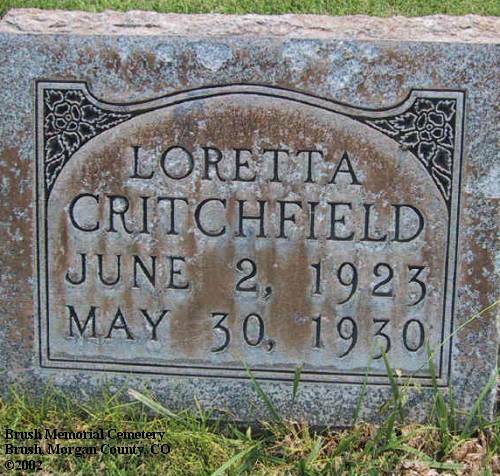 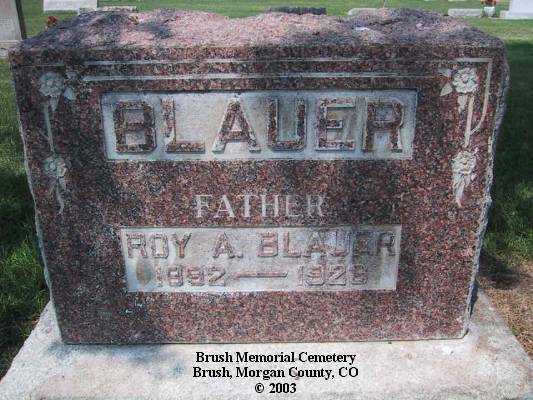 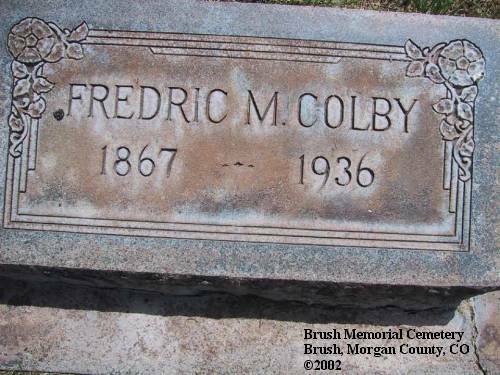 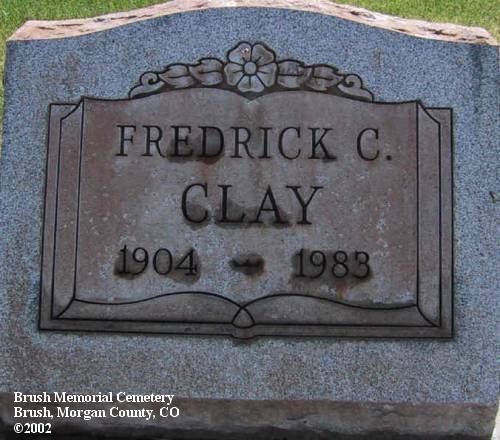 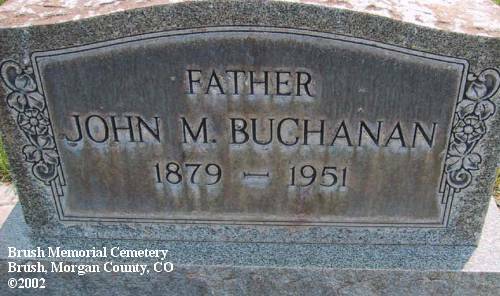 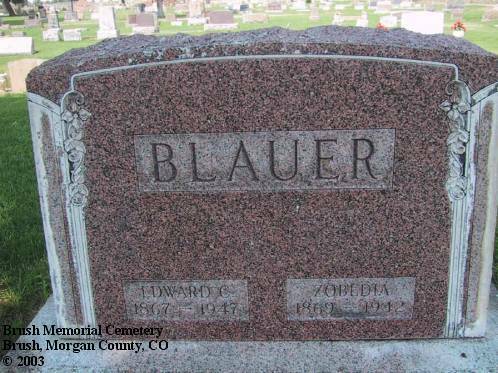 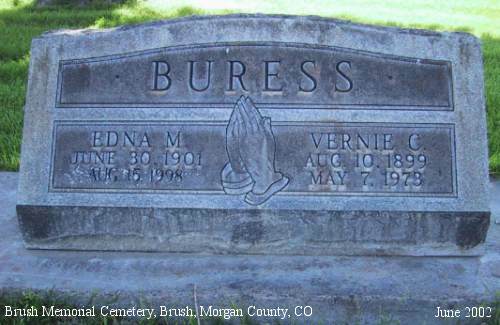 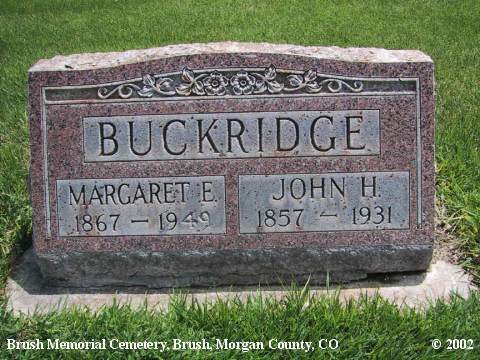 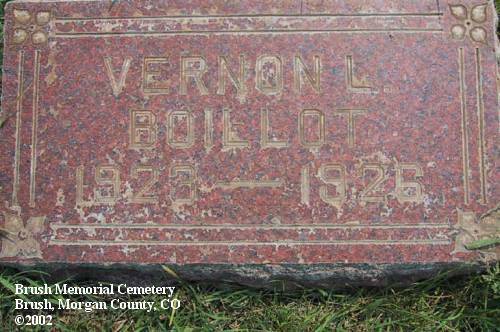 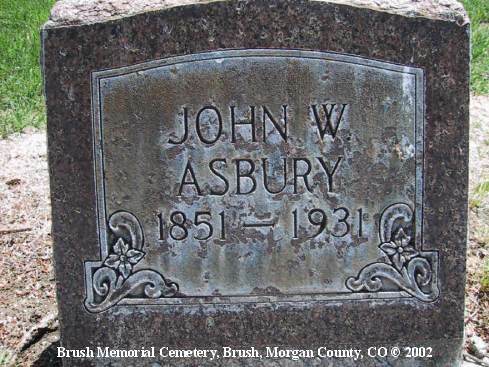 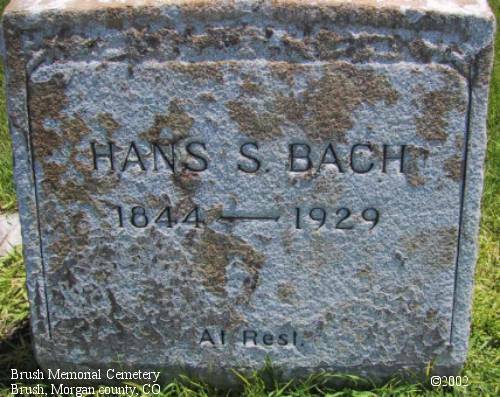 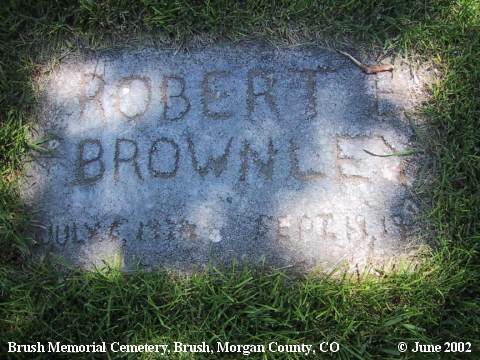 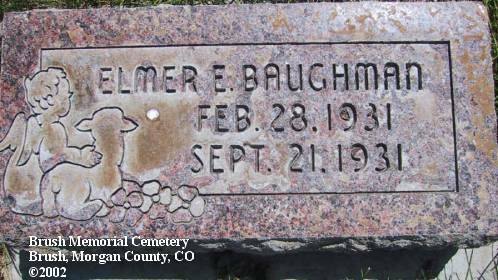 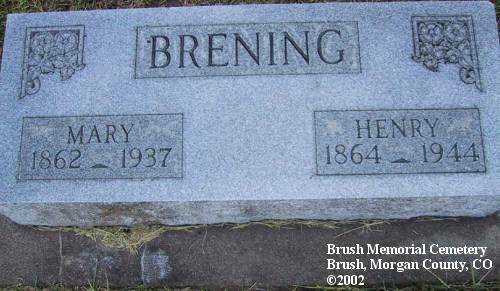 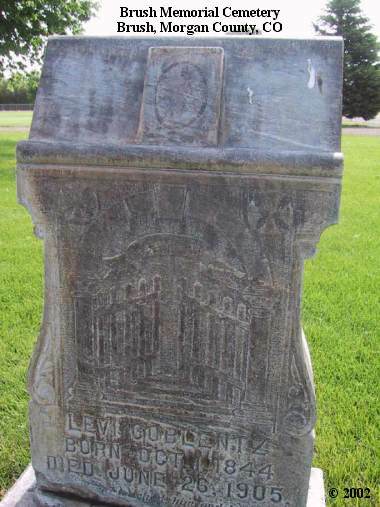 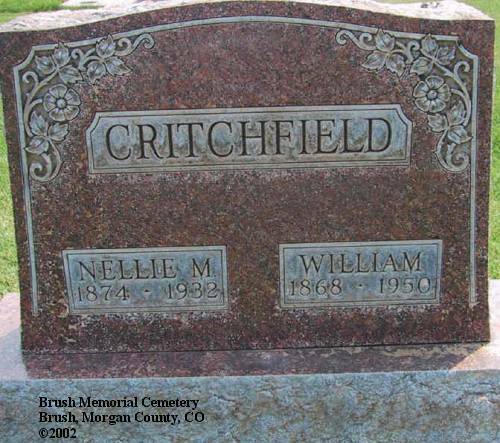 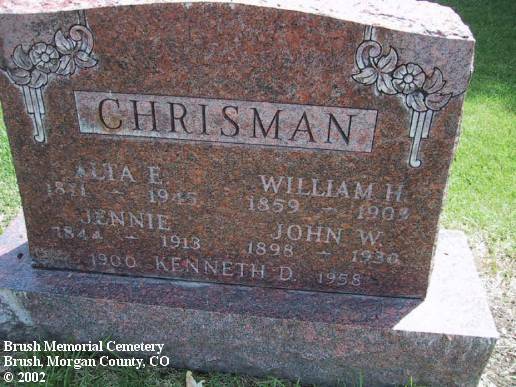 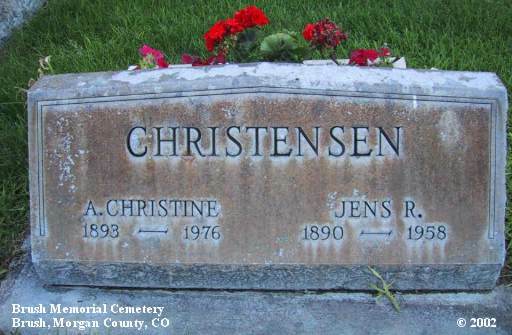 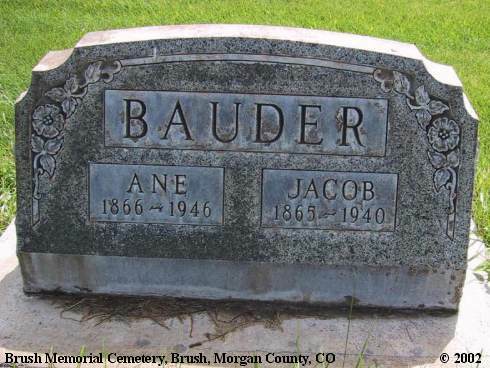 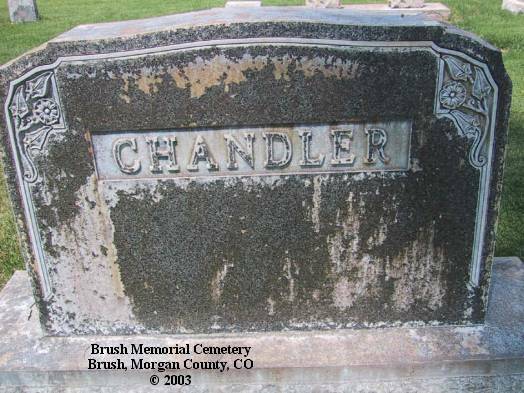 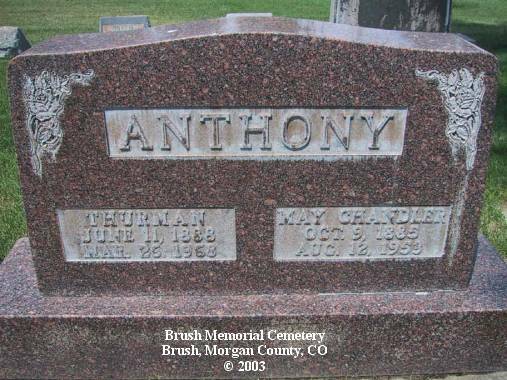 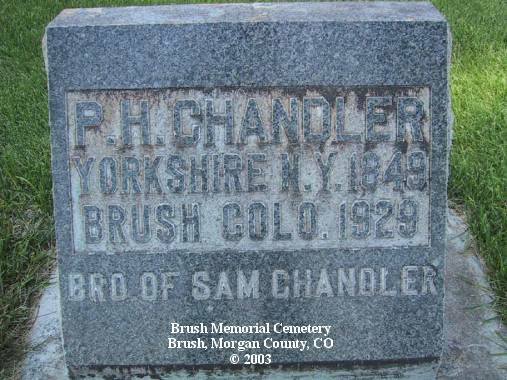 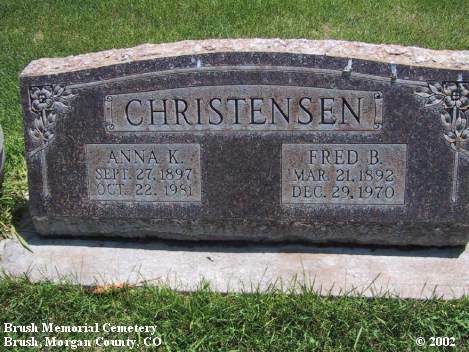 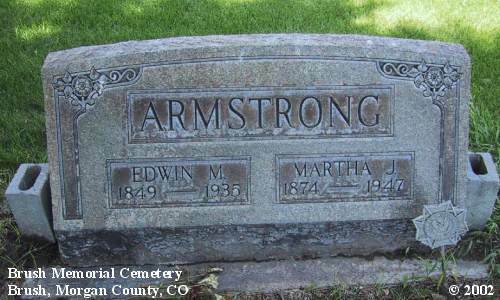 For a complete index of burials at this cemetery go to http://www.brushcolo.com/cemetery.pdf. 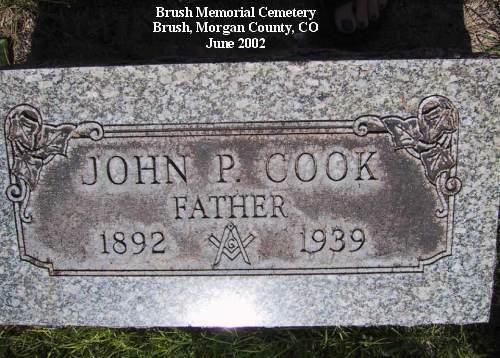 The index has been posted to the Internet courtesy of the city of Brush and can also be reached by visiting their Web site at http://www.brushcolo.com/. 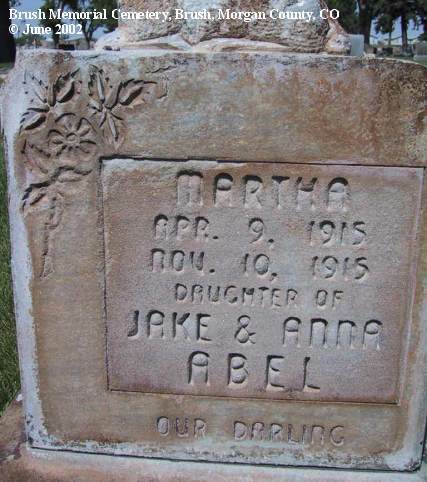 All copyright restrictions apply. 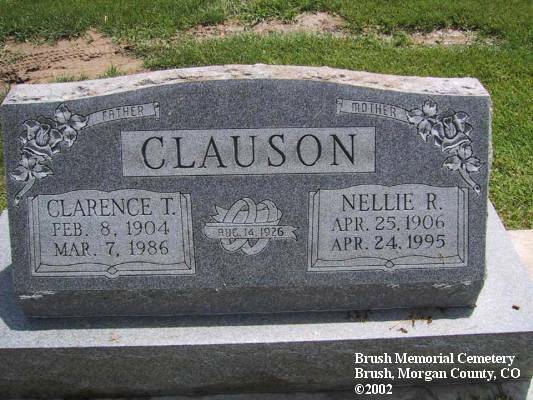 Additional note: White crosses on the graves placed by the American Legion. 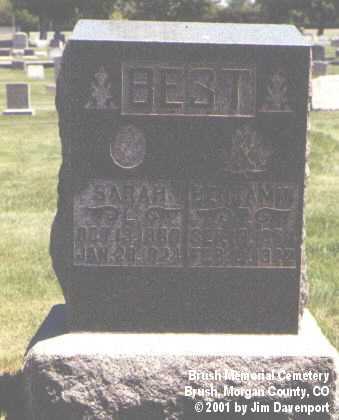 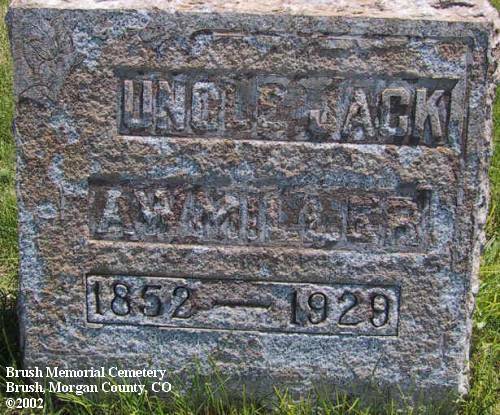 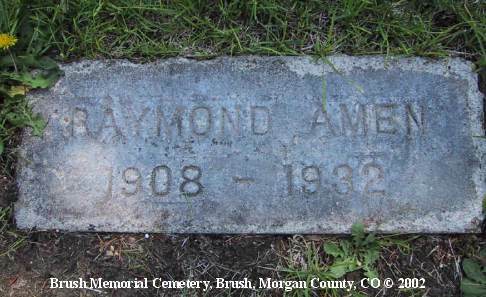 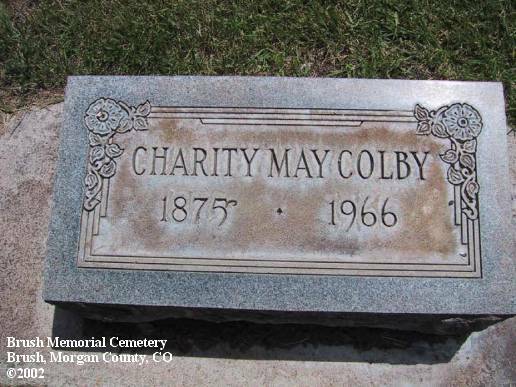 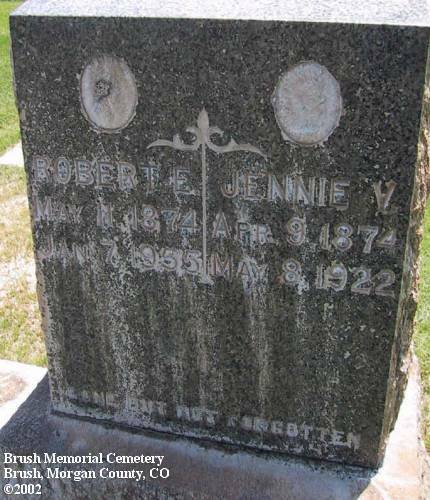 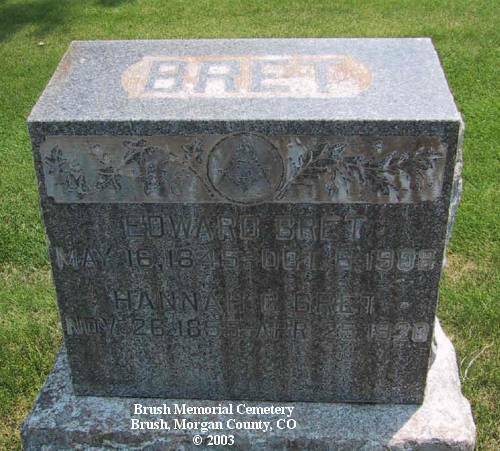 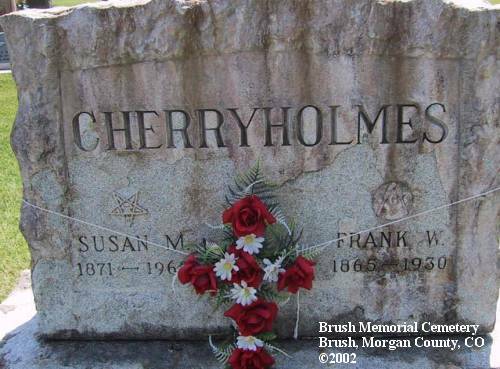 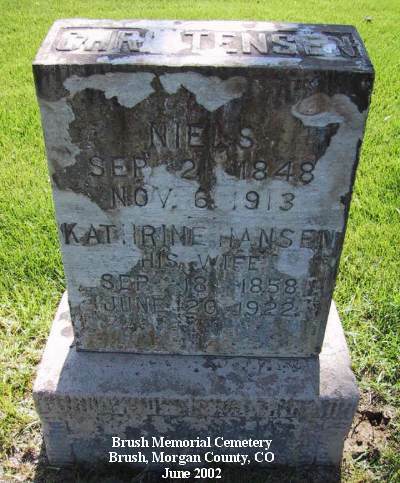 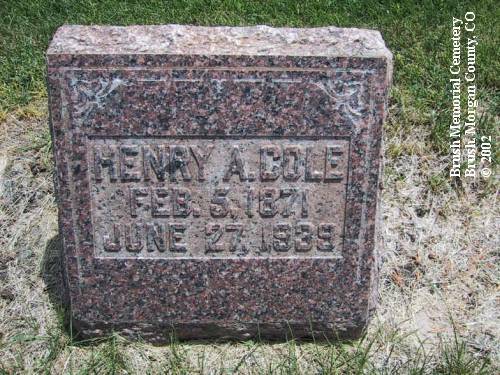 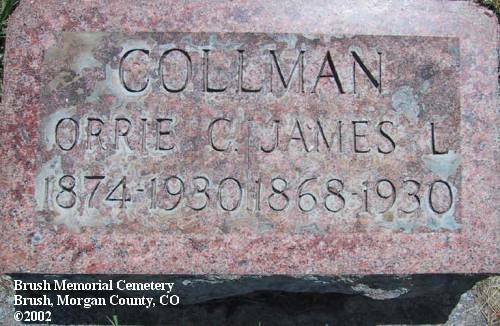 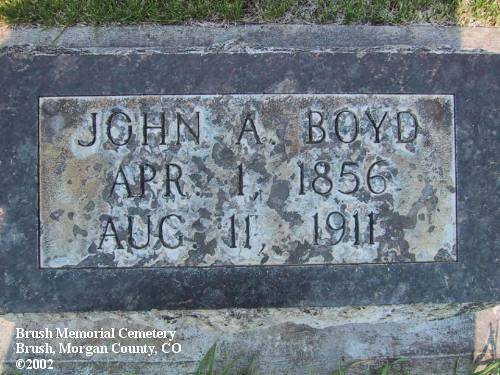 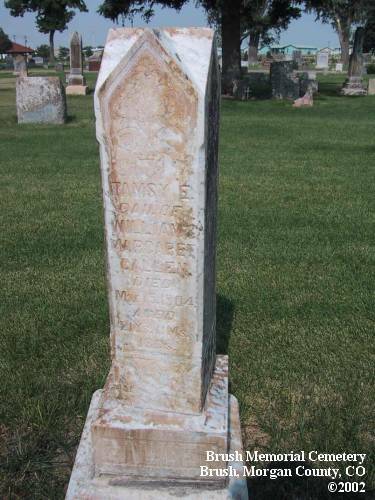 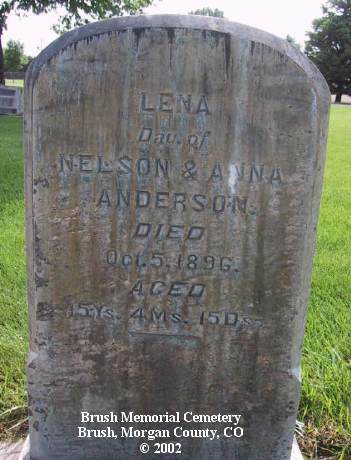 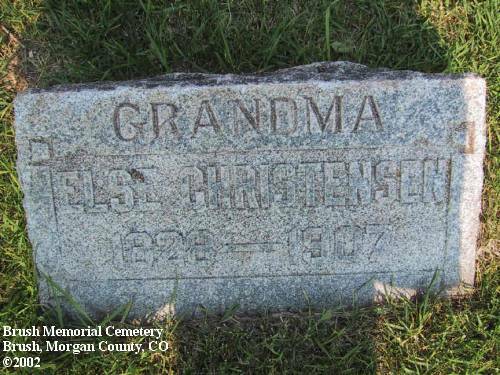 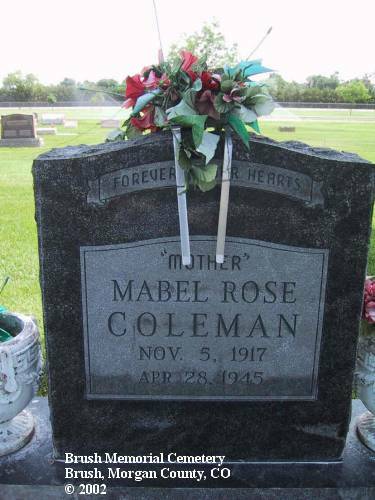 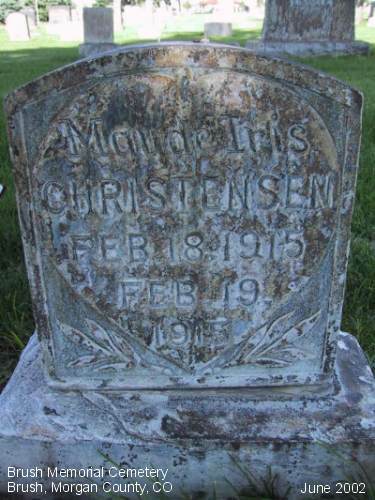 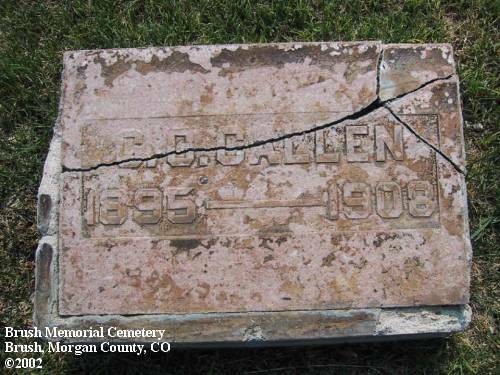 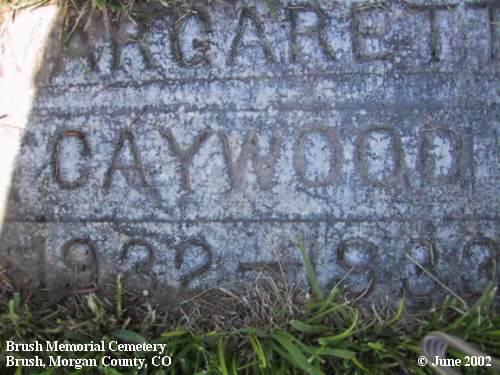 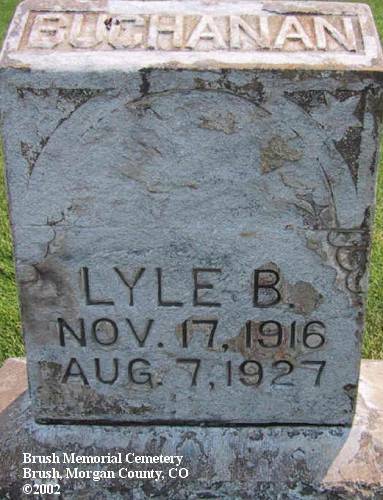 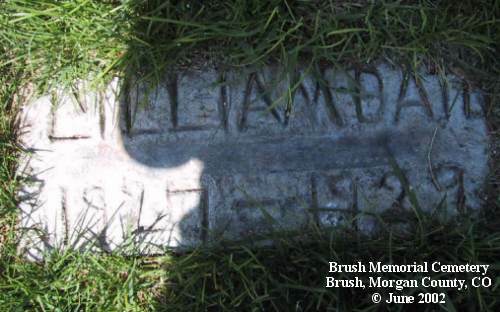 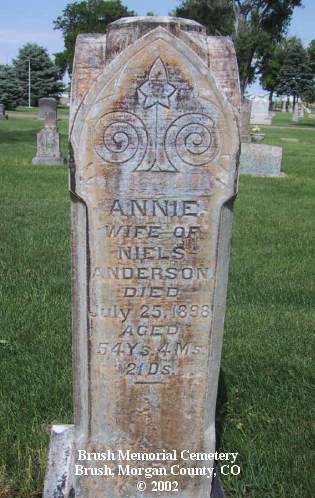 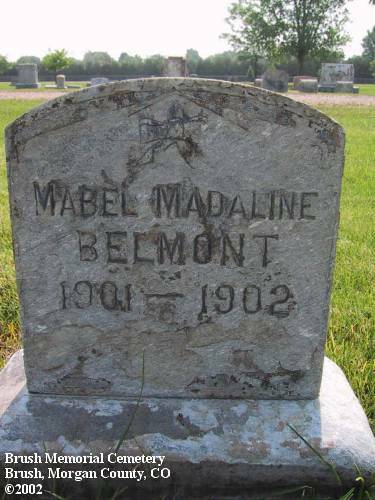 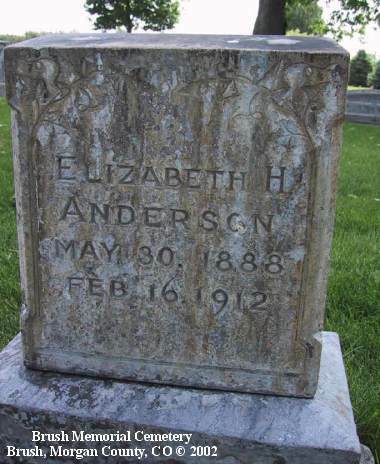 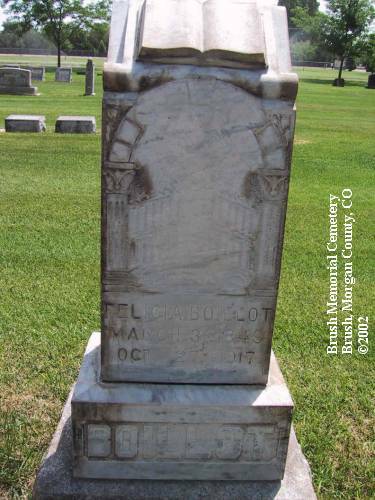 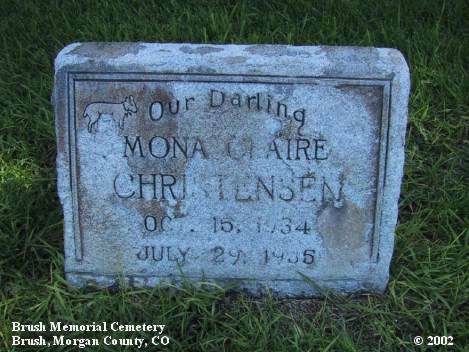 The photographs in this portion of the archives, unless otherwise specifically credited, were contributed by a generous volunteer who is conducting a photographic inventory of the headstones. 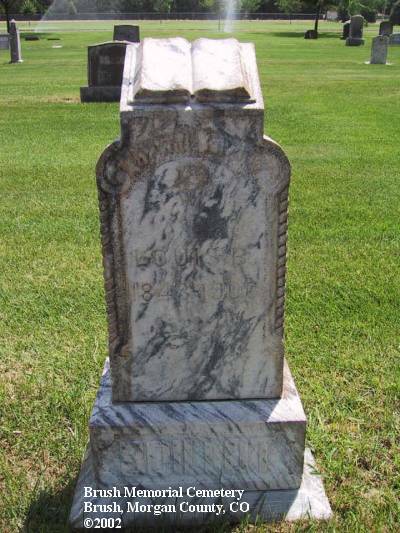 The volunteer wishes to remain anonymous. 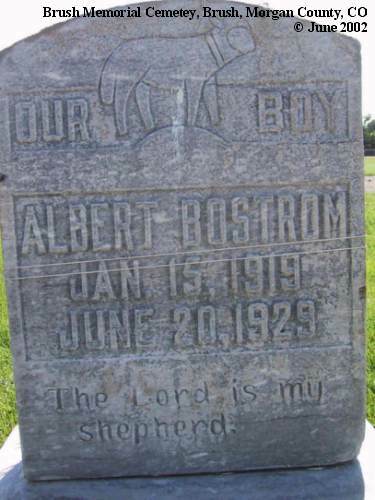 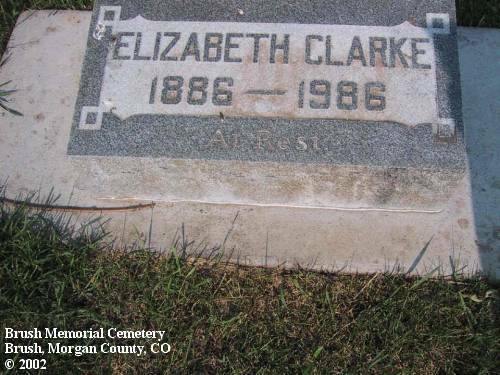 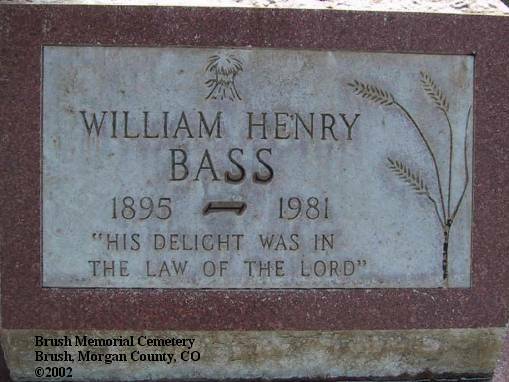 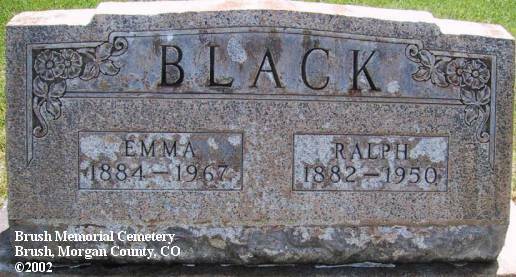 NOTE: Most remarks/information appearing in brackets () was found in from Tombstones and Burial Records © 1994. 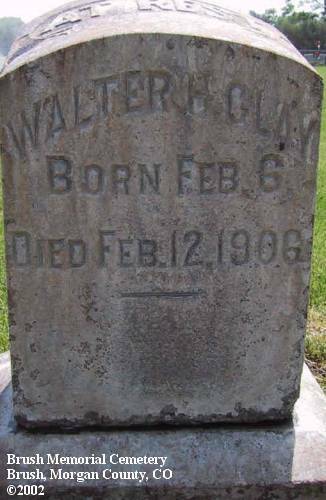 City record give birth date at 22 Apr 1915. 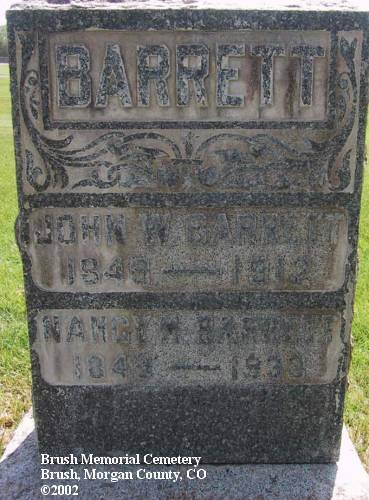 Remarks: Coblentz, Mrs. S. W.